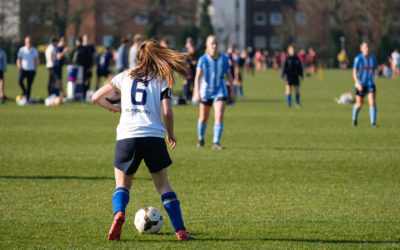 On 21st March, over 1,000 University of Surrey students headed to Royal Holloway University for the second annual Varsity competition between the two institutions. 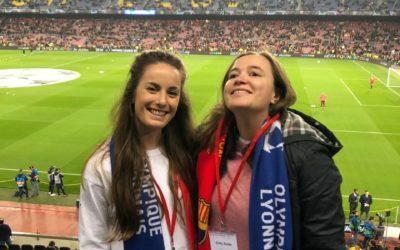 The event, that pits sports teams and societies from each university against one another, was hosted at Royal Holloway for the first time in the University’s history. With over 30 fixtures and contests taking place on the day it was a true spectacle of sport and activity for all to see. Surrey went into the day chasing Holloway who had established an early 6-2 lead from prior fixtures. However, the Stags soon showed their steel with a flurry of early wins to level the playing field. As the glorious sunshine faded and the night rolled in, each new result was met with increasing anticipation with both sides claiming points in hotly contested matches. Crowds of blue and gold Surrey supporters gathered for the final fixtures to cheer their sides on to victory on unfamiliar soil. Following the final whistle of the Men’s Rugby fixture the masses assembled for the announcement of the final scores. Each result was met with increasingly loud cheers by supporters, and then, the moment everyone had been waiting for. The crowds erupted as VP Activity, Alistair Douglass, lifted the coveted Varsity trophy to the skies, the culmination of a truly incredible day, and year, for Team Surrey. We caught up with the delighted Student’s Union representative following the triumph. Congratulations to all those who competed, and thank you to all our travelling supporters. 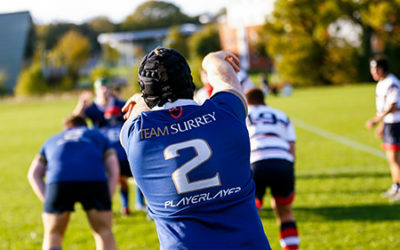 We look forward to seeing you back at Surrey Sports Park for Varsity 2019!